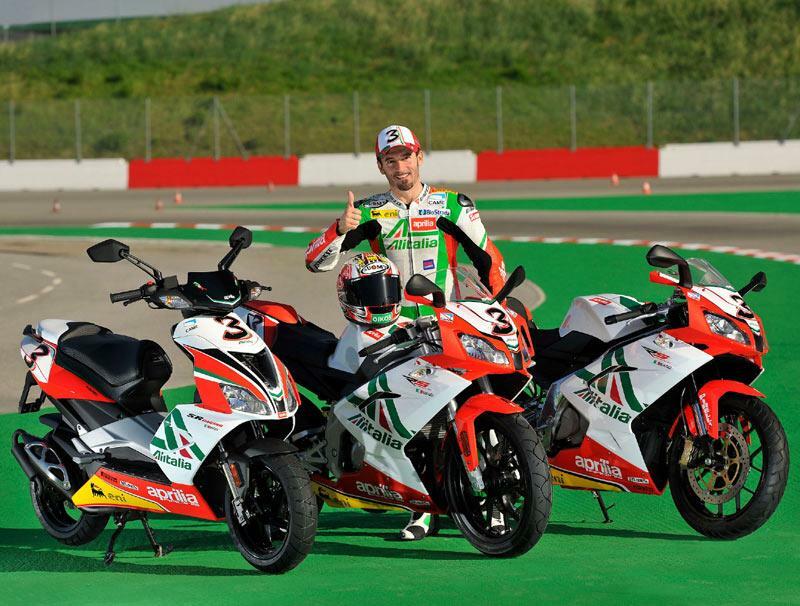 Max Biaggi’s World Superbike colours are to be offered on a trio of lower capacity bikes including the RS50, RS125 and SR50 scooter, Aprilia has announced. 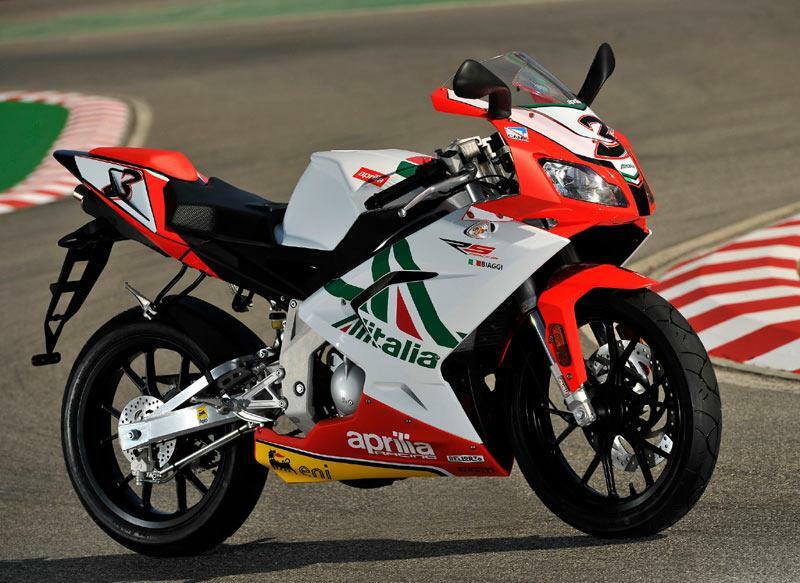 The Aprilia Alitalia WSB Racing Team livery has coloured a number of successes for Biaggi in 2010 and now teen wannabes can mimic the Italian’s style. 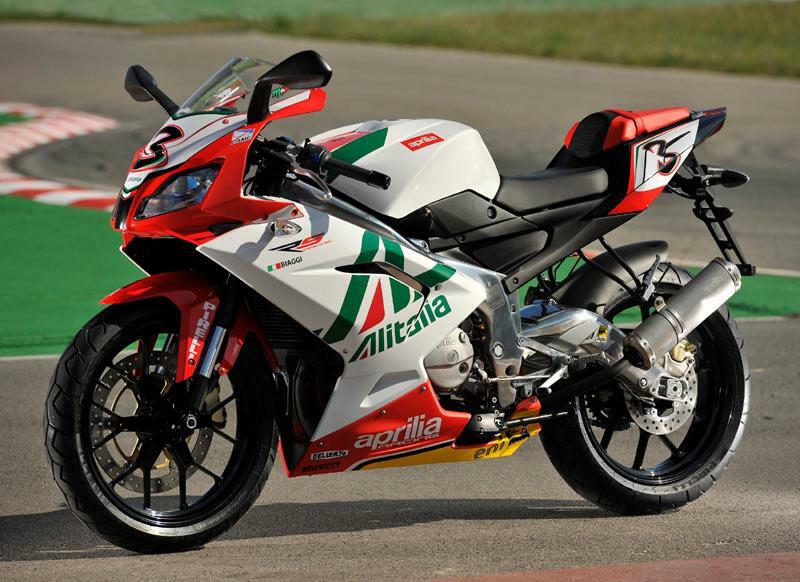 The 200bhp RSV4 Biaggi replica announced in early May was the first to bring the distinctive livery from the racetrack to the street, and these three new models will broaden the appeal. The RS50 and RS125 lightweight two-strokes are both road going ‘race-replicas’. The RS50 is priced at €3720, while the RS125 will cost €5,500. The SR50 scooter, meanwhile, will cost €2680 with the SR50 Factory edition priced at €2850.